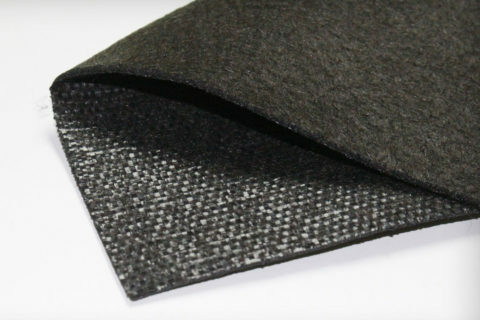 Composite geotextiles combine the mechanical performance of woven and hydraulic and filtering performance of nonwovens. This combination of properties makes it the optimum geotextile for applications requiring reinforcement, separation and filtration of fine particles. Innovex offers two composite geotextiles: the Novatex II, which conforms to the MTQ type II geotextile, and Novatex CF, which differs from Novatex II by its lower filtration opening. Novatex CF will be used on very fine soils, such as clay and silt.